The Missouri State Fair is in full swing, and we at Bryant Motors couldn’t be more excited. The state fair is one of the most anticipated times of the year for Missourians and those from surrounding states, but there’s another event at the fair that helps cap off the evening with a bang! That would be the fireworks show, and Bryant Motors is excited to announce that we are this year’s sponsor. The 10-minute fireworks show will come after six of the grandstand concerts — a great way to end an already magical night. 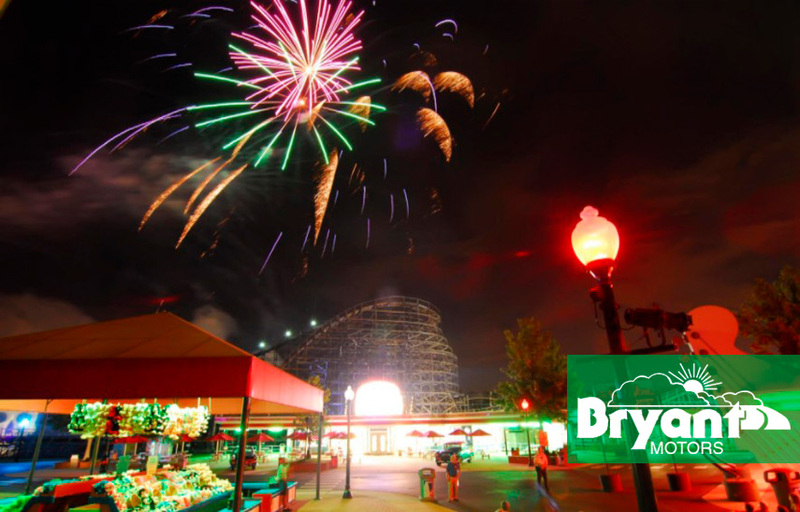 Bryant Motors’ own Kyle Herrick recently reflected on a time when he was a younger attendee of the fair, and how the fireworks shows at the end of the night were so popular that cars would crowd parking lots all along U.S. Route 65 just to view the show. “It would be neat for others who may not make it onto the fairgrounds to view the fireworks from parking lots and venues located near the grounds like they used to,” Kyle told the Sedalia Democrat. A more recent state fair memory for Kyle is through Bryant Motor’s involvement. The Missouri State Fair began on August 9th and will be going on all week long until the 16th. General entrance tickets, along with tickets to the many concerts and events, may be purchased through the Missouri State Fair Box Office or through Ticketmaster. And don’t forget to stick around to see the fireworks! You won’t be disappointed.